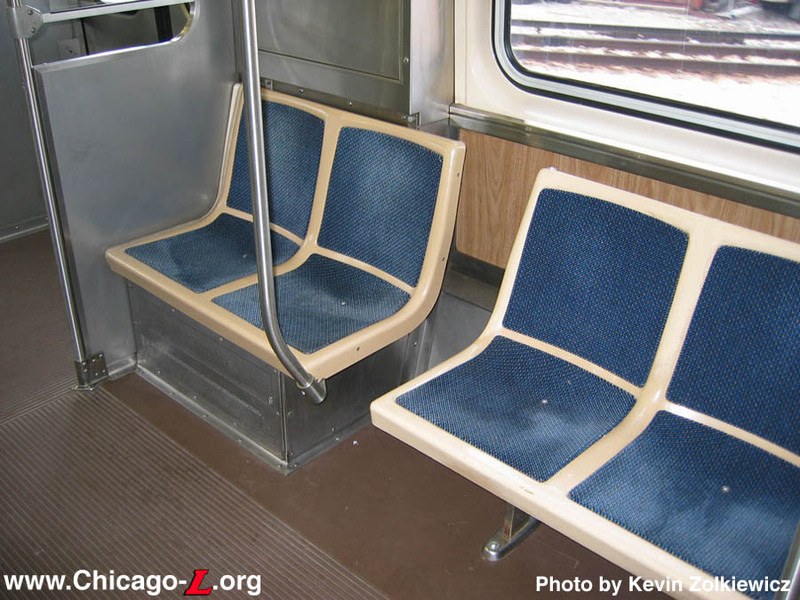 To test new seating configurations and how additional maximum capacity could be attained with existing car dimensions, the Chicago Transit Authority modified a two-car unit with a longitudinal seating arrangement on a test basis in mid-2004. Two 3200-series cars, unit 3407-3408, were given a new interior seating plan with a longitudinal arrangement, sometimes referred to as "bowling alley seating" because of the long unobstructed aisle it creates. 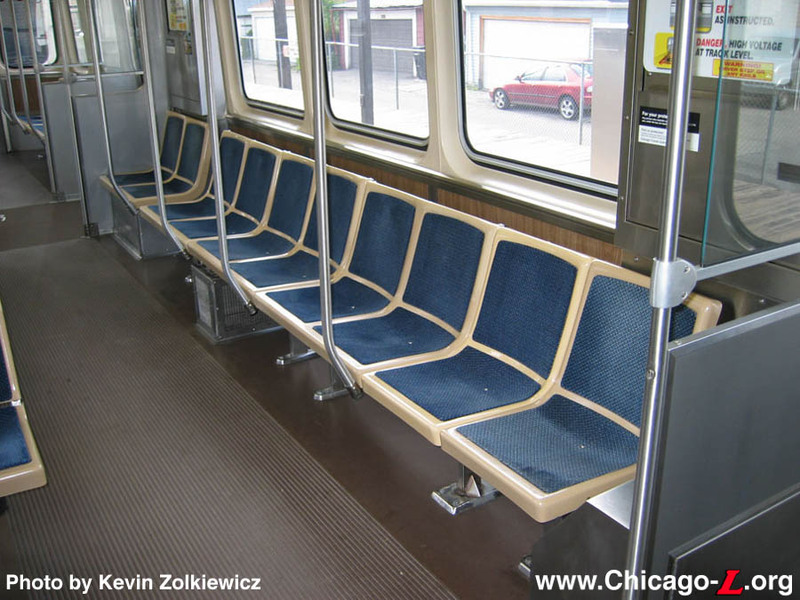 In the cars, 31 of the 39 seats face inward toward the aisle and 8 are left in a transverse arrangement, as opposed to a standard 3200-series car, which has 15 seats facing inward and 24 facing forward or backward. The idea is to create a wider aisle for more standing passengers during rush hours. 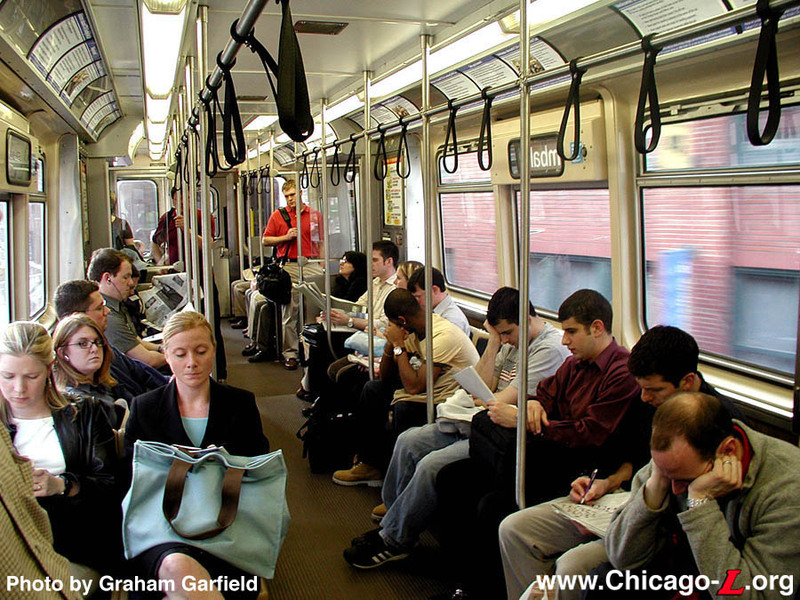 According to the CTA , the extra space created should allow for 10 more riders per car during busy times. Trains now can fit about 90 riders per car. It is also thought that the new seating arrangement makes more room for luggage, strollers, bikes, and other items. The new arrangement also creates a second wheelchair position in the chair, diagonally across from the existing position near the #1 end of the car. To make up for the handgrips that were on the tops of the removed transverse seats, horizontal metal grip bars were installed overhead along each side of the aisle to give standees in the aisle something to hold on to. Two different heights of overhead bars are used in the two cars to test which is more ideal for comfortable holding and height clearance. 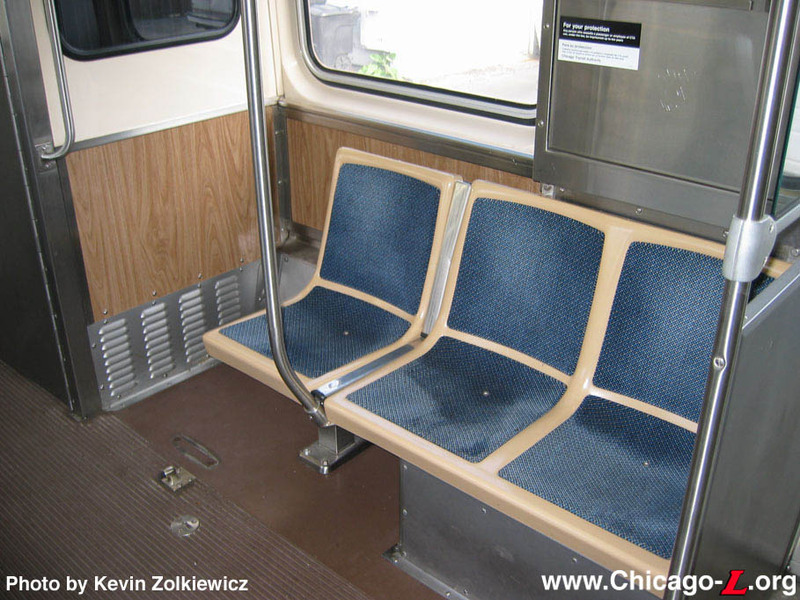 In addition, vinyl straps (the same type used on the new NABI articulated buses) were also installed in some places along the overhead stanchion, bringing the literal use of the term "straphanger" back to the Chicago transit scene. There are also vertical metal poles between every two seats. The new seating arrangement is just a test and will most likely not spread to other cars the Authority currently has. 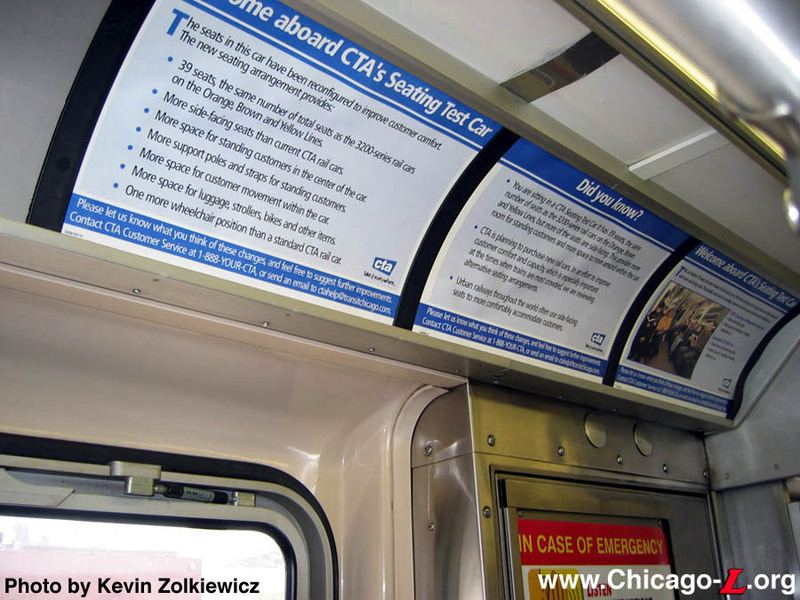 However, if they prove popular, the agency could use the configuration on the more than 300 new cars it plans to buy in the coming years, CTA President Frank Kruesi said. "We're trying a configuration that's less crowded and less of an obstacle course throughout the car," Kruesi said in mid-May 2004. "We want to see how the people standing like it, and how the people sitting like it." 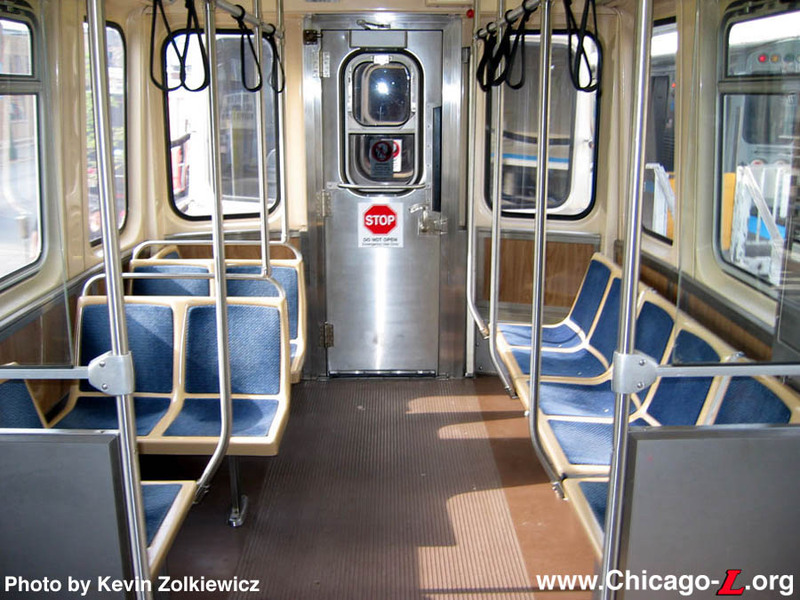 This two-car unit represents the first "L" cars to have longitudinal seating (discounting small number of such seats near doorways to allow for extra room for people waiting to alight to stand) since the Chicago Elevated Railways Collateral Trust (CER) ordered the first 4000-series "Baldie" cars -- trailers 4001-4066 and motors 4067-4128 -- in 1914. The next order of Baldies, cars 4129-4250, began the current arrangement of transverse seating throughout all cars. 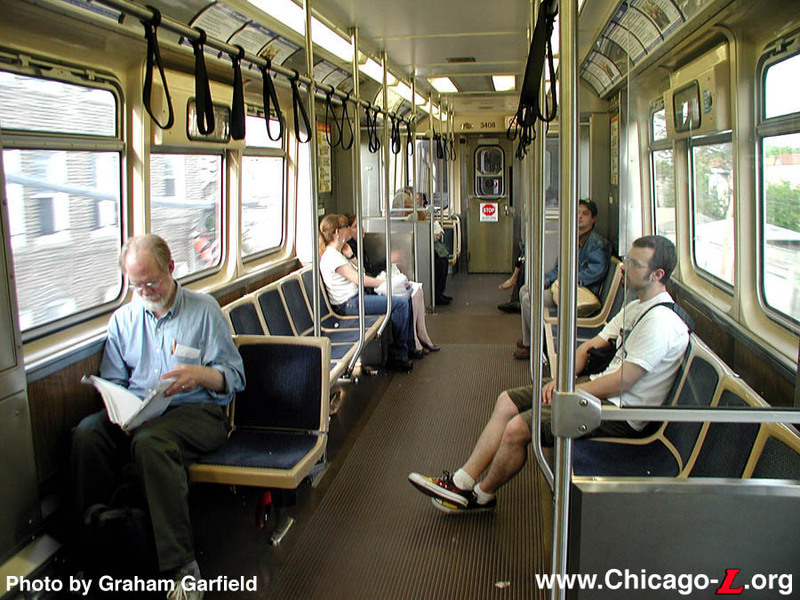 The CTA released cars 3407-08 with the test seating configuration on Monday, May 17, 2004, first assigning them to the Brown Line. 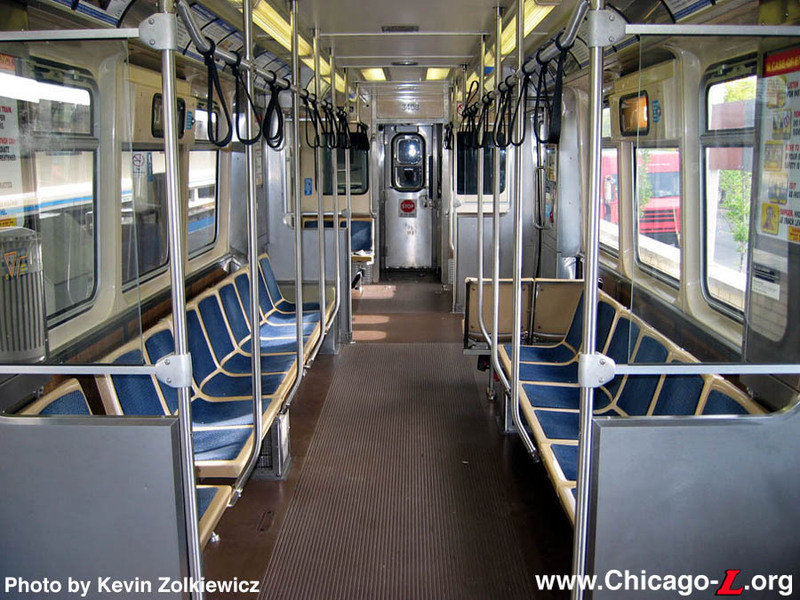 The CTA moved the two cars to other lines over the next couple months, leaving the cars on each line for about a week before rotating them, and surveyed riders to ascertain their feelings, experiences, and preferences. After the Brown Line, they went to the Orange Line from May 23 until May 29. The cars then went out of service for a week for an inspection, returning to service on the Green Line from June 6 through June 12. The cars began the second half of their service on the Purple Line from June 13 to 19. 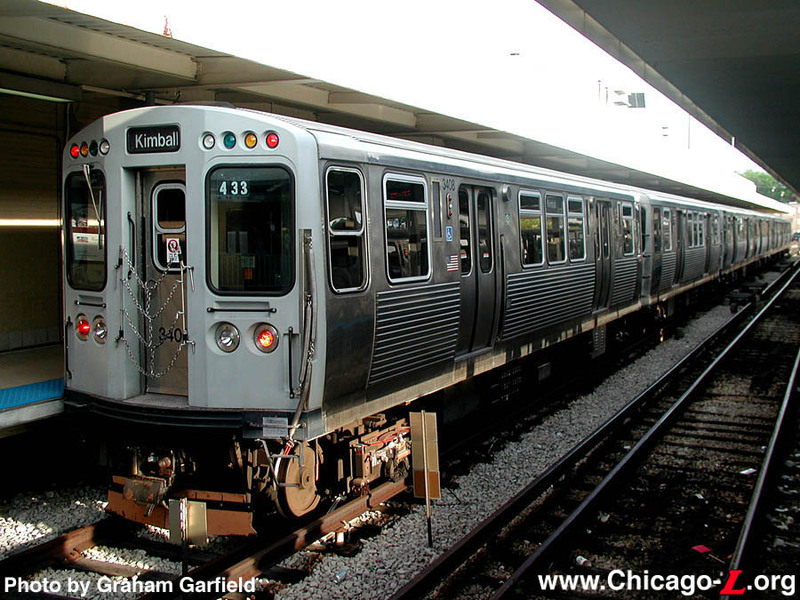 The units finished up on the CTA's two heaviest lines, operating on the Red and Blue lines on June 20-26 and June 27-July 3, respectively. They did not serve on the Yellow Line because the cars are not equipped with pantographs for overhead traction power. On July 7, 2004, cars 3407-3408 left 54th Yard and were returned to Kimball as part of a non-revenue equipment drag.